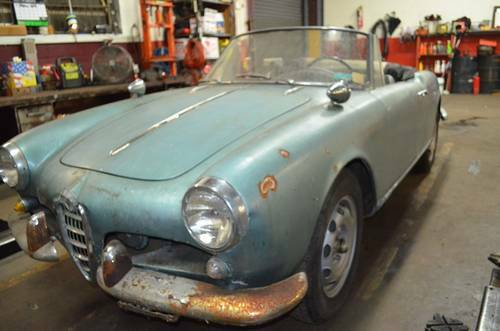 Update: A reader who has inspected this car says there are a lot of details incorrect about it, and wonders about its provenance. Especially of note are the all chrome rather than aluminum trim bits, and the overstuffed seats. Go have a look if you’re interested! I’m just an admirer of a shiny red Sprint -especially considering the sad state of my own! 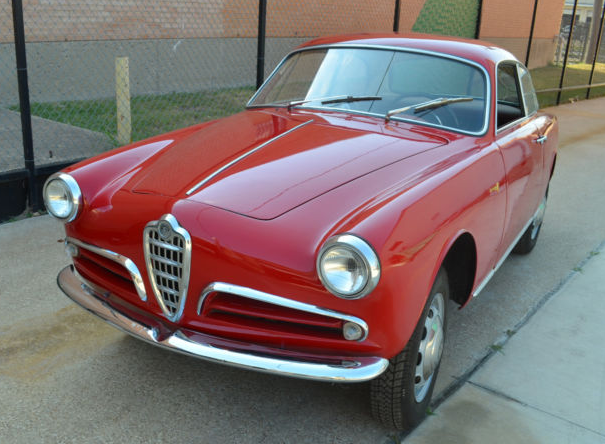 Giulietta Sprint Veloce 750E 1493*03798, 1315*30552. 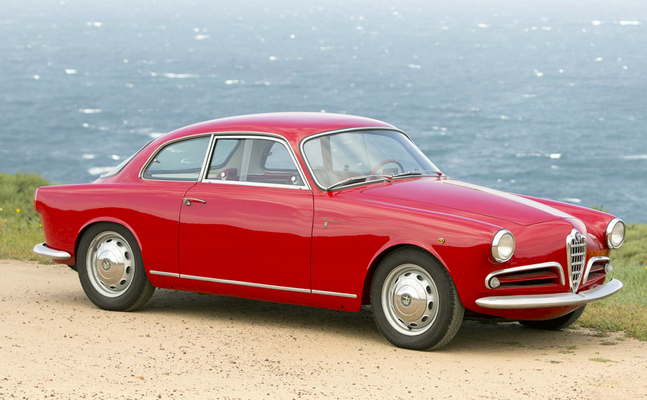 A lightweight Sprint Veloce is one of the most exciting Giulietta models, and to find one of the few they made in unmodified form is unusual. RM is auctioning off this nicely done example next weekend. If you’ve always wanted one, now is your chance. Nice nice nice. Original marker light? Want! 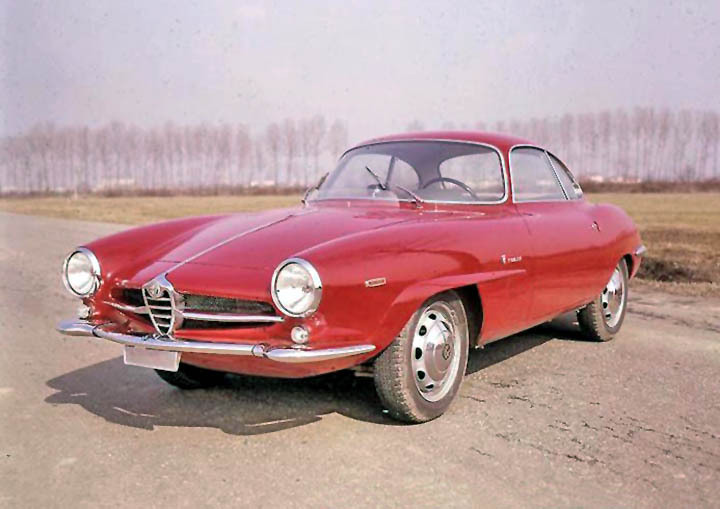 Giulia Spider 10123*379454. This car ended recently on eBay out of Washington state and almost perfectly represents the value of a car a friend of mine was asking me to give a valuation of. 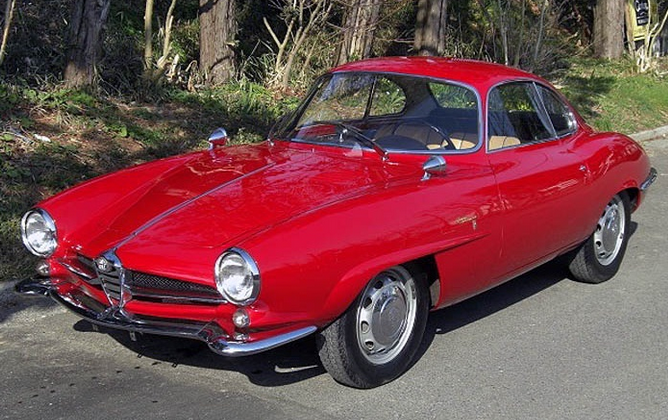 A well maintained, scruffy but attractive -well, except those seats- car that functions as intended and needs nothing for use, but needs a lot to be a nice car. 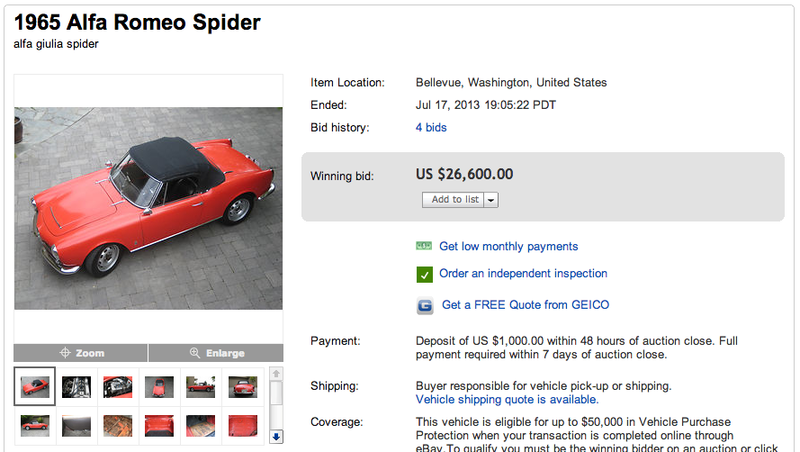 I guessed $20,000 – $30,000, probably a little higher than $25,000 if sold on eBay. The proof for all you who visit after the link to eBay dies. Giulietta Spider 750D 1495*03235, 1315*43081. 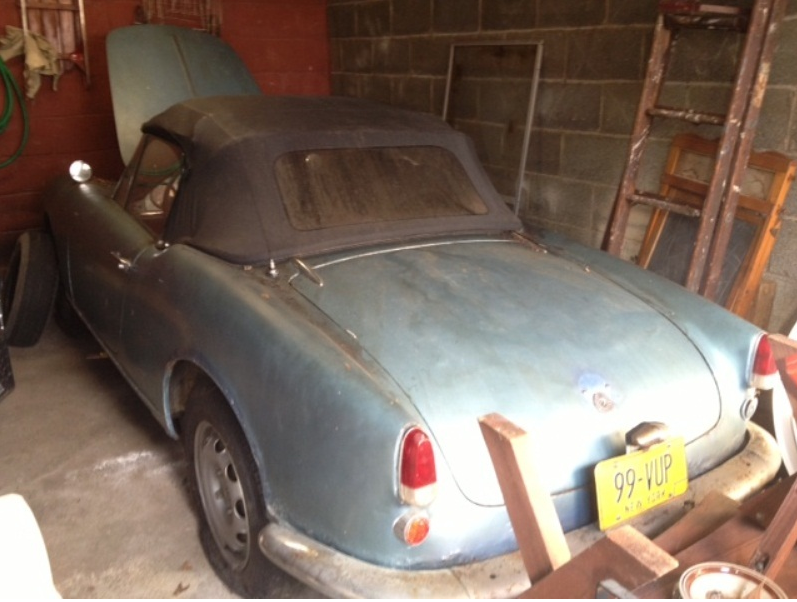 This car has been on eBay a few times recently , trying both the recently defunct ‘start low’ old school auction approach, the ‘this is what I want’ buy-it-now approach, and now the ‘call me if you want it’ BIN approach. Car looks decent enough -needs everything except a lower 4″ metal transplant. 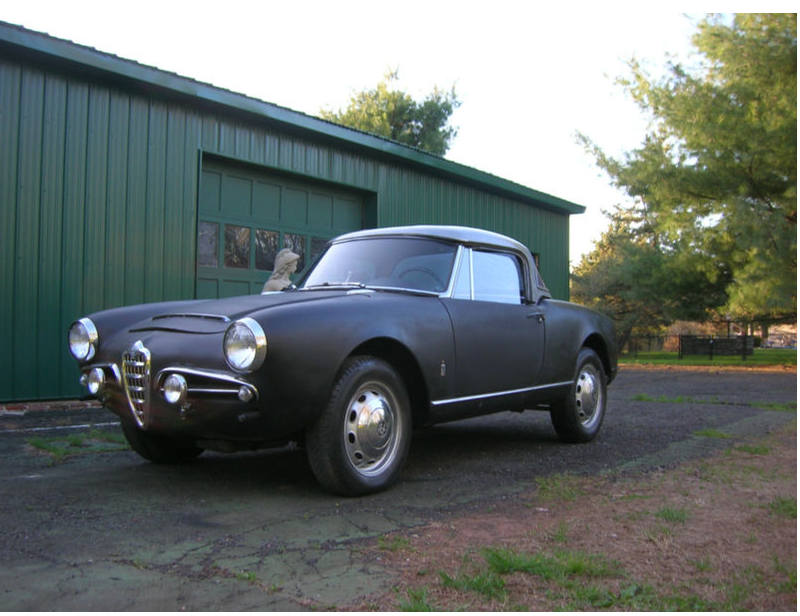 Great car for the aspiring 750D owner -I’ve seen, worked on, and written about much worse! Always a pleasure to behold. Stance is per original -not with the modern springs and all that lowers it quite a bit. Wheels are Borranis. Looks like a good place to start. Update 5/6/2013: This charming candidate has found its way onto eBay. Already at $6600. Exciting stuff when you take an unfamiliar road in your neighborhood and find something like this. 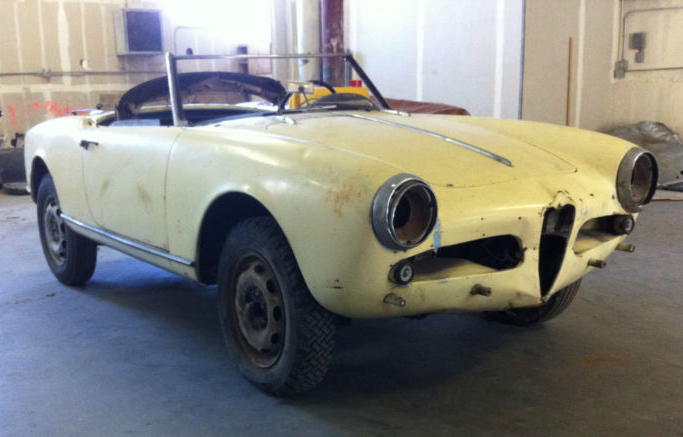 4/19/2013: Giulietta Spider 10103*11198. At the other end of the spectrum from yesterday’s Spider Veloce is this Spider out of the land of ahem. Asking price is $14,500. Looks like a real gem -especially the interior. It runs in a recently-freed-up-with-Marvel-Mystery-oil sort of way. Steering wheel is without cracks. Good times for all! One of those what were they thinkings on the color, neglect etc. It is all there, but how much of it is usable.